The 2007 Vega Sicilia Valbuena 5º Año ($144.05) is a red wine made by Vega Sicilia from the region of Ribera del Duero with the best tinta fina, tinto fino, tempranillo, merlot, malbec and cabernet sauvignon grapes from the 2007 vintage and has an alcoholic content of 14%. 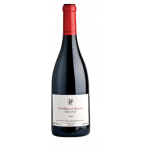 The 2007 Vega Sicilia Valbuena 5º Año is the ideal red to combine with foie and hard cheese. According to Uvinum users, this red wine earns 4,1 out of 5 points while experts give the following rate: robert parker: 92 and peñín: 96. - View:% product_name% is red cherry color with orange trim. - Palate: Balanced, tasty, fresh and elegant. Step velvety, round, with soft tannins and well placed wood. Persistent. The wine undergoes its wines aging periods longer than usual in the wine world wood; only large are able to withstand this ordeal. 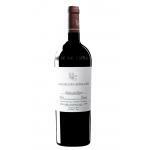 This ensures that the wines get the character, elegance, classicism and exclusive aromas Bodegas Vega Sicilia. 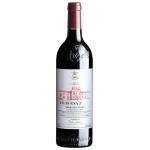 The best wine of the family Bodegas Vega Sicilia. Has a strong colour. Good aromas of nuts. Quite clear presence of plum in the mouth. - View: cherry, garnet rim. 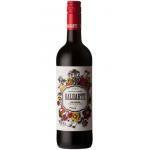 - Nose: aroma of ripe fruit, mineral, dry stone, creamy oak and sweet spices. 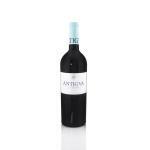 Aromas of strawberry, raspberry and some berries. Extraordinary flavour with caramel hints. - View: 2007 Vega Sicilia Valbuena has a cherry with garnet rim color. 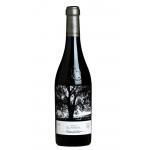 - Nose: ripe fruit, mineral, dry stone, creamy oak and sweet spices. 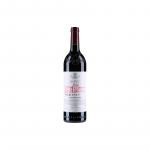 - View: 2007 Valbuena 5º Reserva has a cherry with garnet rim color. The Viña Valbuena has a red cherry colour. Fine aromas of violets. It tastes alot like toasts, very nice. A that doesn't need to be accompanied by food. Cherry red colour. Toffee notes can be appreciated. BlueBerry flavour. It wasn't well paired with food. 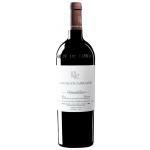 If you want to buy 2007 Vega Sicilia Valbuena 5º Año, at Uvinum you will find the best prices for Ribera del Duero red wine. At Uvinum, at the best price, fast and 100% secure. We offer your over 59.000 products for sale becoming this way the leading marketplace to sell wine, beer, and spirits in Europe thanks to more than 38.000 customers who trust us.